Applications are invited for the position of Solar Projects Engineer at the head office in Nairobi. · Technically lead engineering teams on a wide range of on and off grid solar PV projects. · Designing and preparation of solar PV proposals in response to customer requirements. · Participate in solar PV project deployments, supervision, monitoring, inspection and desnagging. · Carrying out technical service visits and provide technical support as required. · Understand East African regional grid and solar PV requirements, installation standards, and implementation costs. · Build relationships with strategic equipment suppliers and serve as the key contact person for EPC partners. · 2 years‘ experience in Solar PV projects. · Licenced as a Solar PV Technician by the ERC. · Written and spoken English. · Computer skills including MS Office packages, MS Project andAutocad. · Experience using SMA PV design software. · Project management skills including ability to organize, schedule, prioritize and multitask in a dynamic environment. · Strong relational intelligence, interpersonal, communication and writing skills. The successful candidates will join a dedicated team of specialists in the water and energy sectors which have significant potential for future growth. The job will provide a challenging and stimulating work environment with excellent growth opportunities for the successful candidates. The successful candidate will join a dedicated and dynamic team of experts who derive satisfaction from “Improving Peoples Lives through Providing Water and Energy Solutions for Africa”. Interested applicants meeting these requirements should apply for the roleby Friday, 24th August 2018. The Davis & Shirtliff Group is the leading supplier of water and energy solutions in the region. The Group is Kenyan based and operates through a network of Kenyan branches as well as regional subsidiaries in Uganda, Tanzania, Zambia, Rwanda, South Sudan and DRC. 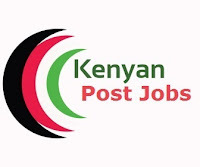 The company has a total complement of over 700 highly trained and professional staff spread across the region and seeks to fill the position of Executive Assistant (PA). The successful candidate will join a dedicated and dynamic team of specialists in the Water and Energy sectors which have significant potential for growth. The job will provide a stimulating and challenging work environment with excellent growth opporunities for the successful candidate. Interested and qualified candidates may apply for the position by clicking on the button below by close of business on 31st August 2018.